1. From the main window, click a task name to select it. 2. Select Log file contents from the View menu. 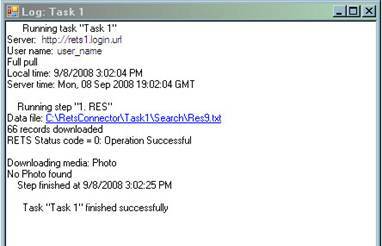 The task’s log file opens in a new window. The log provides hyperlinked references to other files, such as data download files. Click the link to open the file.